Are you ready for a Keto reset but not sure where to start? 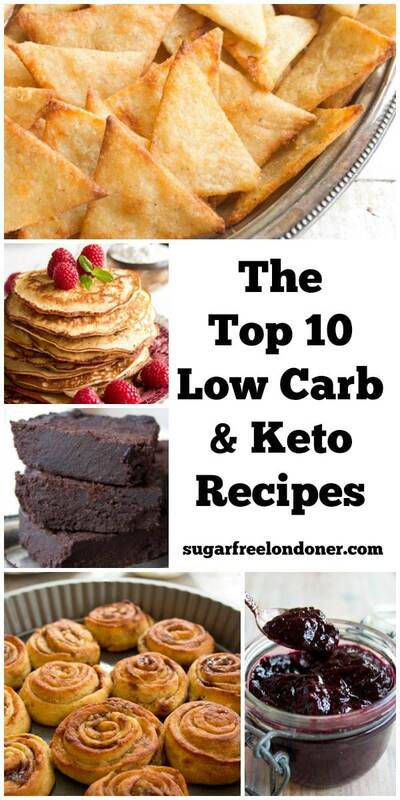 Here are the 10 most popular low carb and Keto recipes on Sugar Free Londoner. Need a present for someone who’s eating sugar free or low carb? I’ve got you covered with awesome low carb and Keto gift ideas for all budgets – from kitchen equipment to books and meal plans! Check out my Keto holiday gift guide 2018. With Christmas only a few weeks away, it’s high time to think about foodie presents! If you’re eating low carb, you’ll know that people on a low carb or Keto diet tend to spend more time in the kitchen than others. That’s because we’re cooking from scratch, with natural ingredients. There are no shortcuts, no ready-made sauces or processed foods. When I decided to put together a holiday gift guide with my ultimate selection of low carb gift ideas, it was clear that I had to include my favourite kitchen tools and equipment. Because with a good high speed blender, a spiralizer or a food processor cooking low carb becomes as much a pleasure as eating low carb! There also are a few items that are on my personal wish list – seriously, I can’t wait to get my hands on a dehydrator and on a decent espresso machine! For those of you after keto gifts for a smaller budget, check out my favourite books around the subject – some of them have been absolute game changers for me. 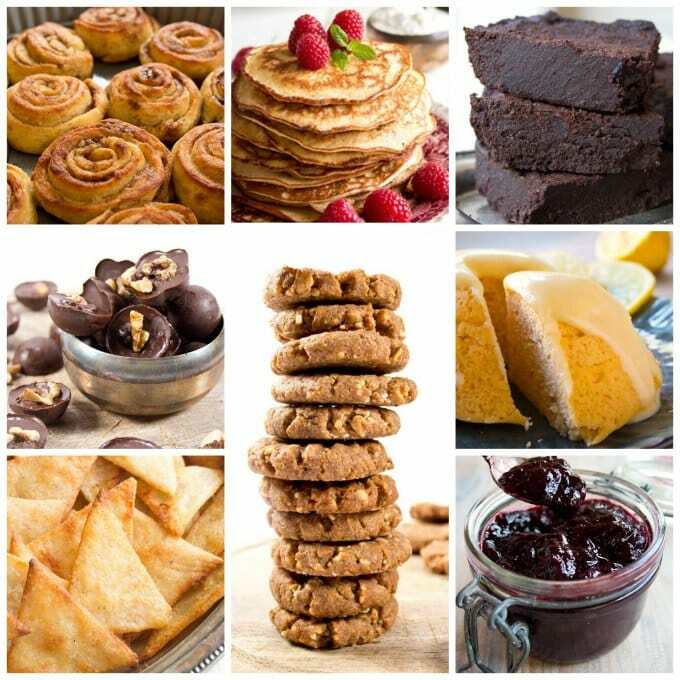 There’s also a selection of the yummiest low carb snacks, my favourite sweeteners plus the best meal plans and ebooks. Gifting is personal. All of the items listed I either own and love, rate highly or really want for myself. I’ve tried to keep this list as concise as possible and have whittled it down to my absolute faves. I’m planning to give some the items mentioned below to friends and family who are either diabetic or eating low carb. I hope you’ll find inspiration in this Keto holiday gift guide! I’ve had this blender for 3 years and it is an incredible work horse. I use it literally every day – for soups, dough, dips and for making the smoothest nut butter ever. It is super sturdy and really powerful. It’s an investment, but I cannot imagine life without it any more (I know that sounds corny, but there you go). 55+ delicious keto recipes using whole foods. macronutrient ratio is balanced – there’s no need to count calories! This type of waffle maker produces thin and crispy waffles and I prefer it over the square Belgian or American waffle makers. I grew up with a waffle maker like this and still love the little hearts that you can tear off. I used it in my low carb waffles and for my almond butter coconut flour waffles. I have this cookbook and have tried many recipes from it. It’s written by a mother whose young son was diagnosed with Type 1 Diabetes. She has put him and the whole family on a low carb diet with great success. There are two meal plans in the book, one with summer and one with winter recipes. The recipes are kid-friendly and yum. I developed my almond cream cheese pancakes based on a recipe from this book. This is on my wish list. Fat is our friend when eating low carb, but too much fat does not agree with me. I like the idea of needing 80% less fat when frying and enjoying perfectly crispy foods without feeling uncomfortably stuffed afterwards. Do you know anyone who wants to go Keto but doesn’t want to to any of the planning and prep? 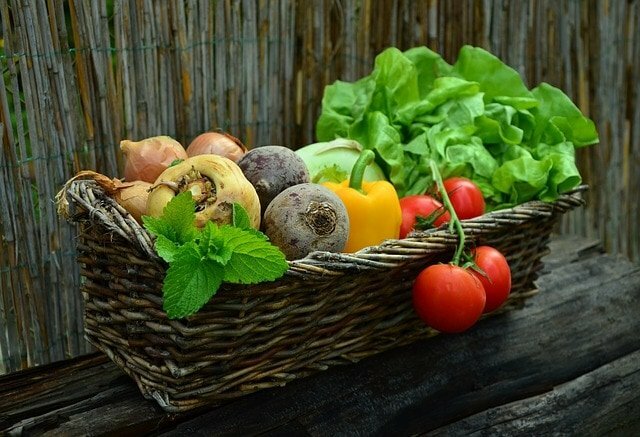 They would love this 7 day food box by the Natural Low Carb Kitchen. All food is fresh and without artificial preservatives – it’s pressure cooked and sealed airtight. I’ve tried some of their dishes – they are delicious and prepared using quality ingredients. Delivery within UK and Europe only. I love this idea! 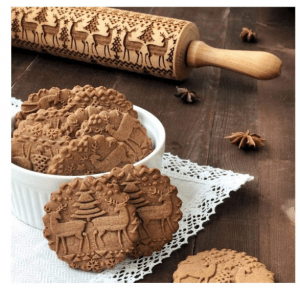 There are a few rolling pins like this out there – I’ve also seen one with cats. This would make a great festive present for home bakers. I know it looks boring, but this gadget is amazing. I really, REALLY want a dehydrator! It’s so easy to burn thinly sliced veggies in the oven when you try to roast them. I’d be making perfect vegetable crisps, like, EVERY DAY. This book is on my Christmas wish list. Fung is THE world expert on fasting. Watching his lectures on Youtube actually inspired my husband to go on a 12 day fast himself, followed by a regular intermittent fasting regime ever since. He has lost 20 kilos (and he still gets to eat all the cakes I bake for this blog!!). I’ve read Fung’s previous book “The Obesity Code” and am interested in what he has to say about reversing Type 2 diabetes through intermittent fasting. Intermittent fasting means you follow a cycle of eating with a cycle of fasting, all within 24 hours. For example, you eat between 12 and 8 pm, then fast until 12pm the next day and only have black coffee or tea for breakfast. That way you give your digestive system a rest and burn fat more effectively. Spiralizers are fantastic when you’re eating low carb. Yes, I used to think they were a faddy gadget, but ever since I own one I’m a total convert. I have an electric spiralizer just like this one and it’s so easy to use, much easier than the handheld ones. I mainly use it for zucchini, but sometimes I spiralize carrots, too. It’s a sure way to get my kids eating vegetables. Not strictly a low carb present, but in my opinion a book every woman should have on her book shelf. It’s like a bible for all stages of womanhood, looking at health from a holistic point of view backed up by plenty of hard science. There are lots of actionable tips and advice in this book. Such an interesting read. 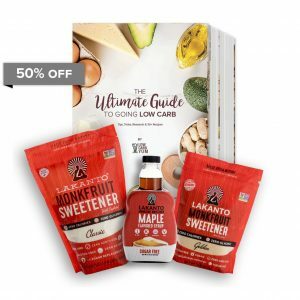 If you know anyone who’d like to get started on eating sugar free and low carb, this would be a great gift. Included are 3 of my favourite low carb erythritol/monkfruit sweeteners. I have been using these a lot recently. The maple flavoured syrup is perfect for pancakes! Along with the sweeteners you get a 30 page ebook written by my friend Lisa from Low Carb Yum. The whole lot is 50% off until Christmas! A super interesting book about why modern wheat is harmful to our system. I enjoyed reading this book immensely (and I normally ONLY read novels). Davis is a brilliant, witty writer and the book is a real eye-opener. Great for anyone interested in learning more about a grain free / low carb diet. You get a selection of 12 sugar free, low carb chocolate bars in this gift box. I’ve tried them – they are gluten free, wheat free, sweetened with erythritol and yum. Nick’s is a Swedish company – guess what the first name of the owner is!! If you use the promo code PROMO10A at checkout you get an additional 10% off any item in the Nick’s Amazon shop. Do you know I look forward to my morning coffee when I go to bed? Seriously, it’s true. I’d definitely make room on my kitchen counter for this beauty. 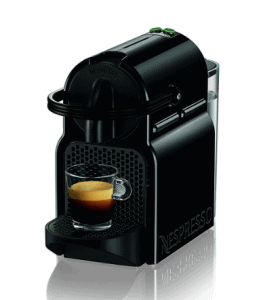 We’re still using a cafetiere and whilst the coffee it makes is oh-kay, an espresso machine would be just awesome. Not sure if I’m the last person on earth without one?? I’m toying with treating myself to one this Christmas. This post contains affiliate links. If you click on one of these links and purchase a product, I may earn a small commission, at no extra cost to you. Thank you for supporting Sugar Free Londoner. Do you want to take the guesswork out of your diet? Well, there’s an app for it. Read my review about the Keto Diet app. I have been eating low carb for over two years now, learning along the way. I’ve been geeking out online on the subject and reading books. I’ve adapted my favourite recipes and looked up the carbohydrate content of foods, figuring out for myself which are the good, the bad and the ugly. Many times, I’ve been surprised how substituting one single item for another can lower the carb and sugar content of a dish significantly without impacting the taste and deliciousness. Like they say, the devil is in the detail! My approach to eating has been simple – no white carbs, cut out sugar, eat veggies with every meal. Generally, eat when hungry and stop when full. Above all, always enjoy food. This way, I have managed to stay healthy (you can read more about my story here) and I’ve shed a couple of unwanted pounds on the way. It works for me, but it is not very scientific. We all have different personal health and weight goals. What if you THINK you’re doing everything right, but the scales tell a different story? What if you feel it’s impossible to stay on track without help? What if your life is just too busy to stay organised? This is where the Keto Diet App comes into play. It’s a useful piece of kit if you want to take the guesswork out of eating low carb and make sure you’re getting the right amount of nutrients. It’s highly customisable and has lots of useful features that help you stay focused and reach your goals. I’ve been trying it out for a couple of weeks – here’s the lowdown. 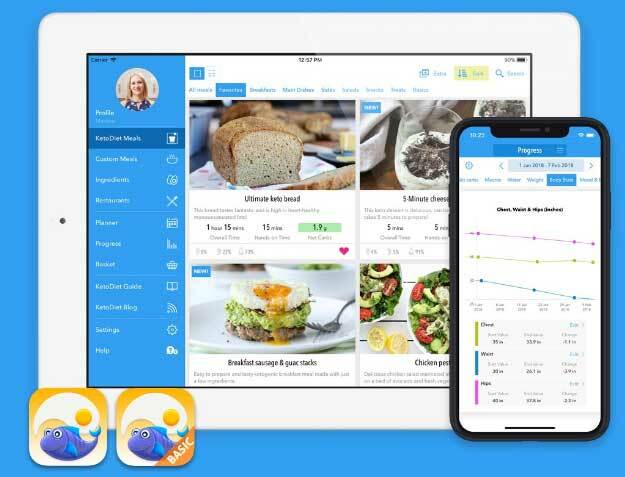 Keto Diet app was launched in 2012 by my blogger friend Martina Slajerova, alongside her popular Keto Diet blog, which is packed with whole food low carb recipes. Martina recovered from the autoimmune disease Hashimoto’s by following a ketogenic diet. She is the author of 5 low carb cookbooks – I recently reviewed The Beginner’s Keto Diet Cookbook here on the blog and made these amazing Mexican Chocolate Fudgesicles from it. She also hosts fab barbecues! Between $3.99 and $8.99. There’s no monthly subscription, just a one-off purchase cost. 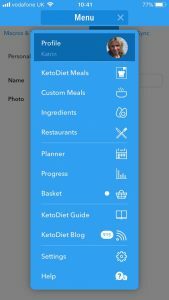 Out of the two versions of the app, Keto Diet has more features than Keto Diet Basic (see the individual prices in the image below). If you really want to kickstart your diet, the full version is a lot more helpful as it has menu planning and tracking features. These are not available with the Basic version. Does it explain Keto and low carb? Absolutely. The app comes with a comprehensive guide that covers all kind of questions people have about eating low carb. It explains the basics – which foods to stock up on and which to avoid, for example – and answers advanced questions such as how to measure your ketones (Your body produces ketones in the liver when it is in a state of ketosis. When you’re in ketosis, your metabolism utilises fat rather than glucose – that’s how you can lose weight quickly and efficiently). In the pic above you can see the dropdown menu – this app is very comprehensive. First though, you fill out your profile, including your height, weight, activity level and body fat. There’s a body fat calculator on the Keto Diet App website to help you with this. Then you can set your net carbs limit. 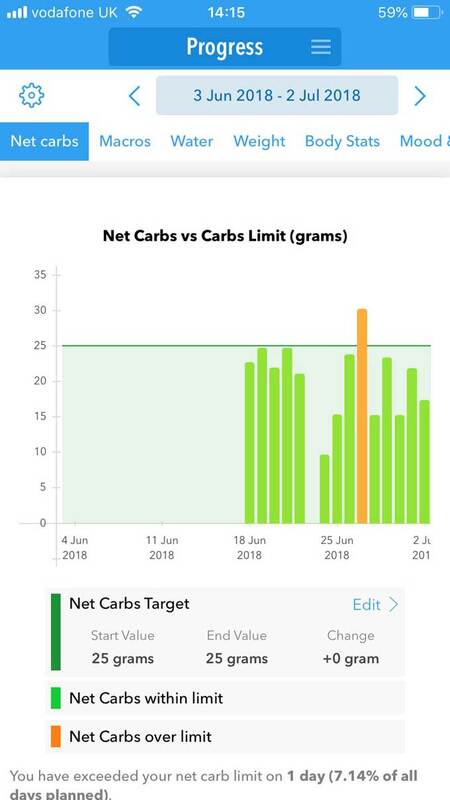 I do not want to lose weight and I know that I don’t do well on too few carbs, so I set mine to 25 net carbs, which was the default option the app provides. Note that you can and should set the carbs limit to whichever level is right for you. If you’re just getting started, you might want to set it higher and gradually lower it. We’re all different and this is not a competition. Eating should always be a pleasure! 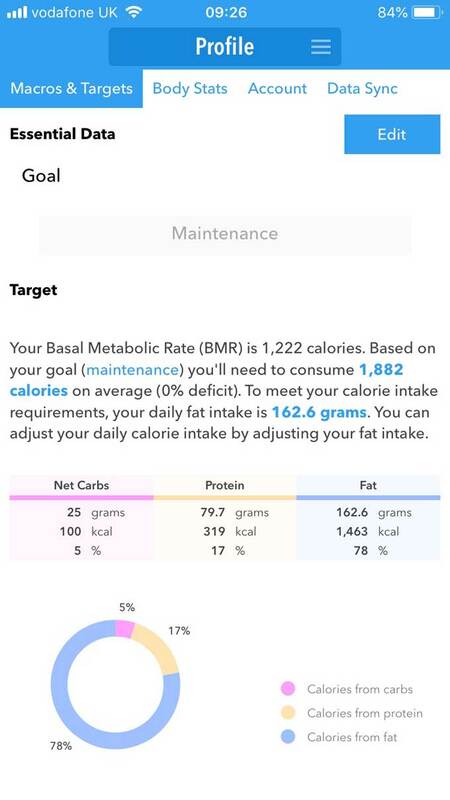 As you can see above, the app calculates your macros – your carbohydrate, protein and fat requirements – per day. Now let’s start with the meal planning! There are various intuitive ways you can record what you’re eating throughout the day. If you’re making something simple – say, eggs and avocado for breakfast – you can choose from a list of thousands of single ingredients. There’s an option to specify the amounts in every common measurement from grams to cups. If you want inspiration, you can choose from over 300 meals with step-by-step instructions specifically developed for the app. 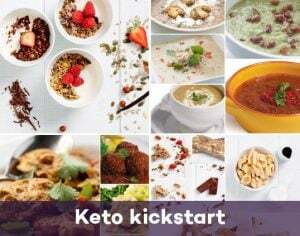 Also integrated is Martina’s Keto Diet Blog with over 700 more recipes. These will populate in your planner with all nutritional data. If you have your own favourite recipes, you can create and save them as custom meals. 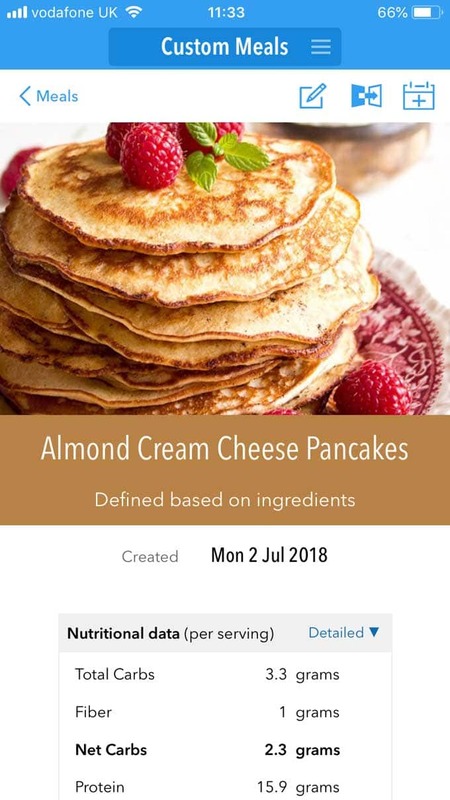 I have done this with my almond cream cheese pancakes – see the image below. There’s even a feature which allows you to scan barcodes. I tried this on a range of products and it worked really well. You can then specify the amount you want to include in your meal. When a scanned product is not yet included in the app (this happened with a pack of frozen blueberries I scanned), you have the option to manually enter the nutrition amounts. This would be useful for products you use regularly, as they are saved in the app. The app also makes shopping easy. With a click, you can add all or some ingredients of a meal to your shopping basket. You can then email yourself the shopping list or print it out. The one interesting thing I found about my own eating habits is that I’m A SNACKER! Friends, my office is right next to my kitchen. It’s a slice of cheese here, a yummy little fat bomb there, a crunchy celery stick to finish. Normally, this happens on autopilot. When you have to record every single item on an app though, you come to the conclusion than eating a proper meal would be way easier. And probably more satisfying. Your net carb intake is shown as a bar chart. You can also view a chart of your macros as well as your water intake, weight change and body stats – as long as you have recorded them daily. Keto Diet app is a superb tracker. As you can see from my chart, my net carb intake varies quite a bit. The day I missed out I was at a friend’s and ate so much that I didn’t attempt to record it. If you’re not at home, keeping track of your food can be tricky, especially when you’re having fun. What if I want to eat out? I love this part of the Keto Diet App. It lists hundreds of restaurant chains with their full menus decoded. All meals are sorted by their net carb content. You can easily add a restaurant meal to the planner by clicking the plus icon. 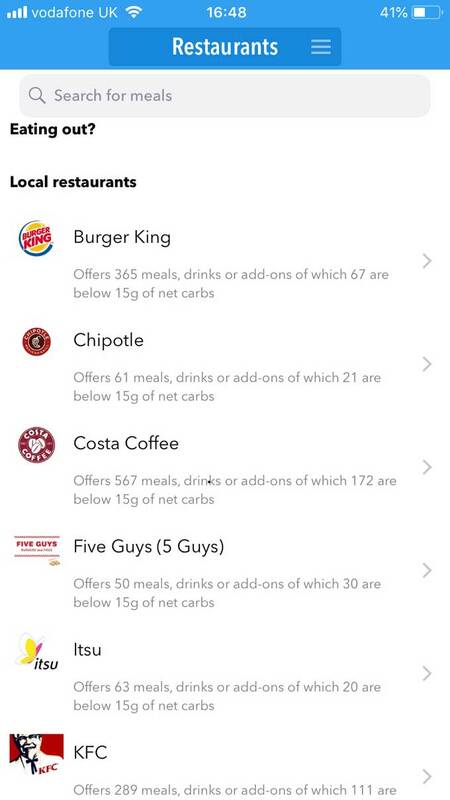 The Keto Diet app team is even adding restaurant chains upon request, which will be included in the next update. If you have a favourite chain that’s not yet included, you can ask for it to be added by tapping on the “add my favourite restaurant” button. How’s that for service! I think this app delivers amazing quality for a very little money. It is a very useful tool if you’re looking to lose weight or want to track your macros. And it will probably give you surprising insights about your own eating habits that you might not be aware of. I’m running a DOUBLE GIVEAWAY over on Instagram! I’m giving away 80 copies of the Keto Diet App, so head over there to grab your free Promo Code – first come, first served! You also have a chance to win free copies of Martina’s 30-Day Keto Diet Plans. Good luck! The giveaway runs until Sunday July 8th, 6pm GMT. 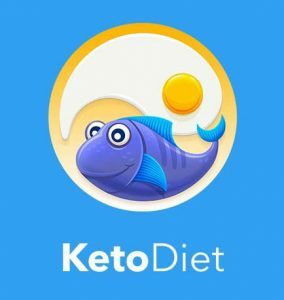 If you don’t want to wait, you can buy the KetoDiet app here. This review is sponsored by Keto Diet app. All opinions and observations are my own. Looking to up your blending game? 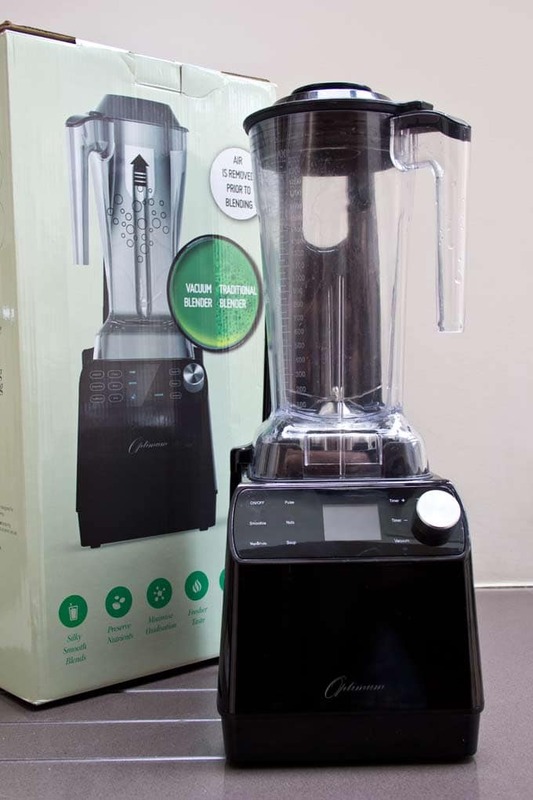 Here’s all you need to know about the Froothie Optimum VAC2 Air Vacuum Blender. I often get asked which kitchen tools you REALLY need when you decide to start a low carb and sugar free diet. 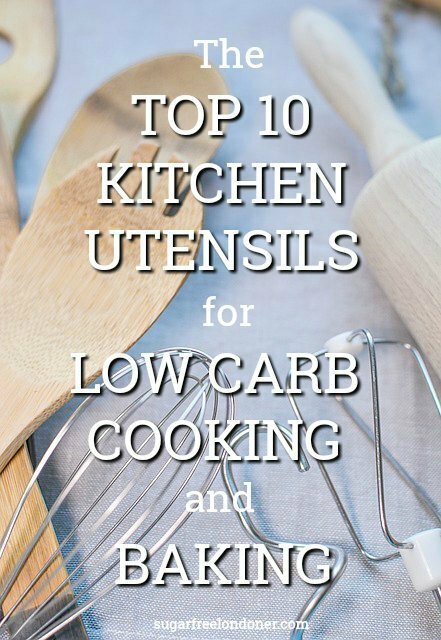 Here they are – my all time favourite low carb kitchen utensils! Do you want to know why we eat what we eat? Ask Dr Morgaine Gaye. As a Food Futurologist, she looks at food and eating in relation to everything from society to fashion, marketing to biology and culture to geopolitical perspective. Morgaine lectures at universities, publishes an international food trend report and is a sought-after brand strategy advisor for food companies. She also happens to have her own superfoods brand called Dr Gaye and a vast and wondrous knowledge of all things culinary. With Sugar Free Londoner, she talks about why we need to get off the sugar and start drinking the Dr Gaye Super-Shake. Sugar Free Londoner: Is sugar addictive? Why should people give up sugar? We all know that eating too much sugar can cause physical health problems such as obesity and Type 2 diabetes. But did you know that a diet high in sugary desserts and processed foods can also have a negative impact on mental health? Yes, my friends, sugar is bad for your brain. How do you start your day? 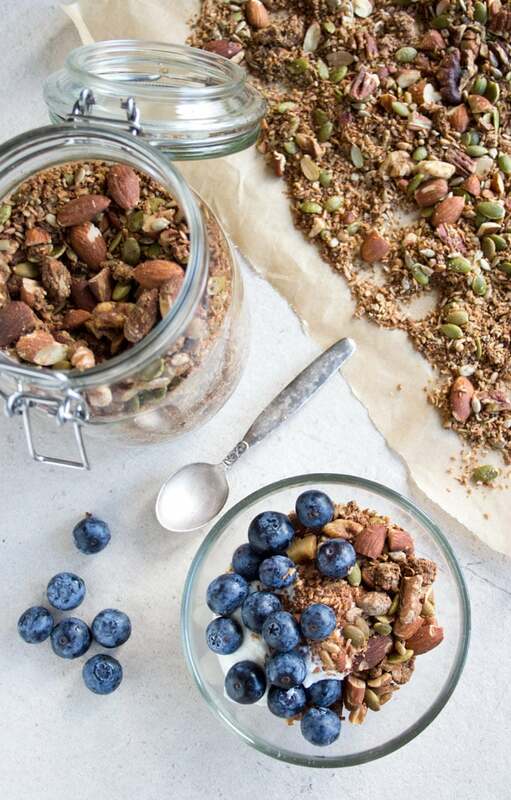 Do you have a bowl of that yummy granola with a health claim on the package? It’s all organic, even the honey in it – so it must be good for you, right? Or are you more of a continental breakfast lover: jam on toast, sometimes a lovely crumbly croissant and a tall glass of freshly squeezed juice? And what about the kids? Do you cave in when they scream for their favourite cereal with all those fun cartoon characters on the box? Let’s face it. For most people, breakfast is a starch-based, sugar-coated affair. It provides a short burst of energy and dumps them shortly after. By midmorning they find themselves crawling to the biscuit tin just to keep going. Here’s the rule of thumb: If your breakfast comes in a box, it’s most likely not a good choice. Just check the label of your breakfast cereal – many “healthy” mueslis contain just as much sugar as the infamous Kellogg’s Honey Smacks (launched in 1953 as Sugar Smacks)! And you’ve surely read before that juices can contain as much sugar as a can of Coca Cola. Most orange juices, for example, come in at 10 grams per 100 ml. If you drink a 200 ml glass you’ve consumed the equivalent of 5 teaspoons of sugar. Enjoy it together with a bowl of fruit yoghurt – another serial sugar offender – topped with cereal you’ve probably consumed your entire recommended daily amount of sugar before you even leave the house. Last week Public Health England released details about the worrying sugar consumption of British children at breakfast time. UK Health experts found that our kids are eating on average the equivalent of nearly three sugar cubes before school starts, reported the BBC. Over the course of a year, this adds up to over 1000 cubes at breakfast. Our four- to 10-year-olds are eating twice as much sugar as they should, and their well-meaning parents are often not aware they are serving their offspring future health problems on a plate (or in a bowl). Since the millennium an increasing number of children in the UK have been diagnosed with Type 2 diabetes, some as young as seven. We’re not quite on a par with the US yet where a 5.5 stone 3-year-old girl with Type 2 diabetes made the headlines a couple of years ago (her condition has been successfully reversed after medical intervention), but it’s time to take a step back and think about better food choices. Health researchers warn that about one quarter of five-year-olds have rotting teeth and almost one fifth are classed as obese by the time they enter secondary school. So how about a few sugar free breakfast ideas? Eggs in all variations. We eat them soft-boiled, fried, scrambled or poached. Scrambled eggs with ham, cheese or wilted spinach take minutes to make and will keep you satisfied until lunch. On weekends I might make chorizo egg muffins, Vietnamese scrambled eggs or these spinach and chive mini quiches. Dinner leftovers. Who says you can’t eat veggies, meat or fish for breakfast? The Japanese have been doing it since the dawn of time, and their health record looks a whole lot better than ours. Homemade granola. I make a big batch of this peanut butter granola on weekends that never keeps long enough. Or just mix nuts, coconut flakes and seeds such as pumpkin, sunflower and flax and eat with plain yoghurt and some fruit. Pancakes. Yes, pancakes. 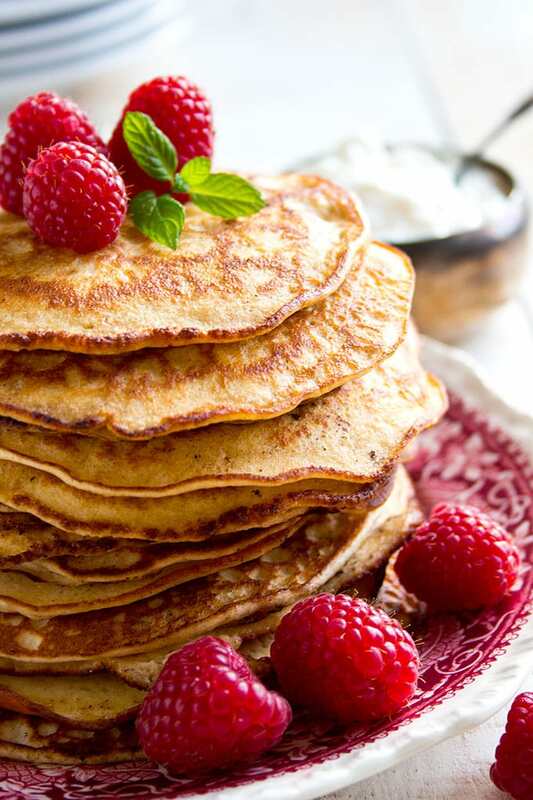 I love these almond and cream cheese pancakes. They are made with almond flour instead of wheat flour, which makes them low in carbohydrates. 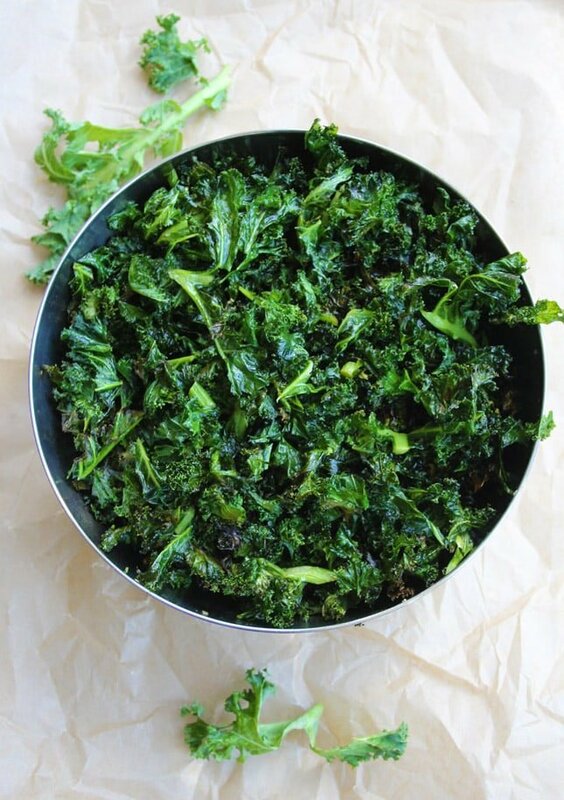 They are nutrient-dense and filling and were a hit with the kids. I made them the day before and just popped them in the toaster in the morning. Coconut flour porridge. This might sound a bit weird, but bear with me. You gently cook 2 tbsp coconut flour and 1 tbsp flaxseed with milk or unsweetened almond milk. If you like, stir in some butter or cream. My blogging friend Low Carb Maven adds a raw egg in hers – it increases the protein content and makes the porridge taste incredibly creamy. Top with cinnamon and/or berries. Dessert. There are not many people who can say in all honesty that they are not fussed. Desserts taste great. They are the crowning glory of a meal; decorated with sparklers and candles and sometimes even applauded. Think of your favourite dessert. What is it? Indulgent melt-in-the-mouth ice cream? Steaming-hot spiced apple crumble with plenty of double cream, eaten straight out of the oven? 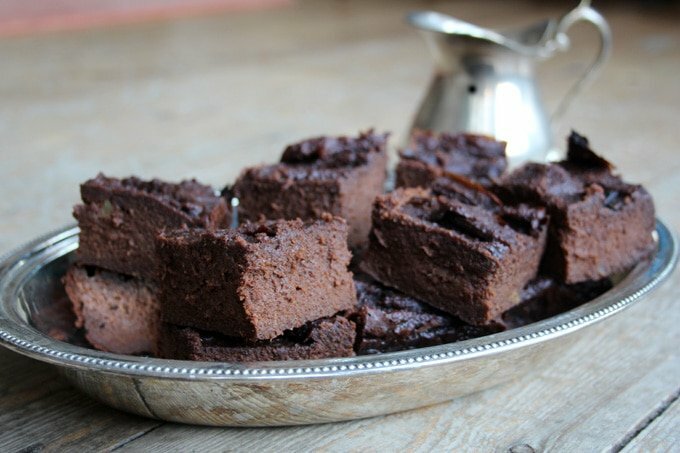 Or my personal weakness – gooey, moist and chocolatey sweet potato brownies? There is no reason to ban dessert altogether. But we need to re-think how often to eat it. Back in the Fifties, dessert was an entirely homemade affair, served after the Sunday roast for which the whole family duly came together. We have gone from eating desserts once a week to once a day. If you look at the average waistline back then and now, coupled with the sharp rise in Type 2 diabetes, you can see clearly see how that’s working out for us. On top of that, many of us shy away from baking. Lives are busy, and it’s so much easier to buy a ready-made treat. Why bother to labour in the kitchen when you can just nip down to Sainsbury’s and get a six-pack of mince pies to munch on? Well, if you start reading the labels and see the sugar content of your favourite goodies, you might just change your mind. 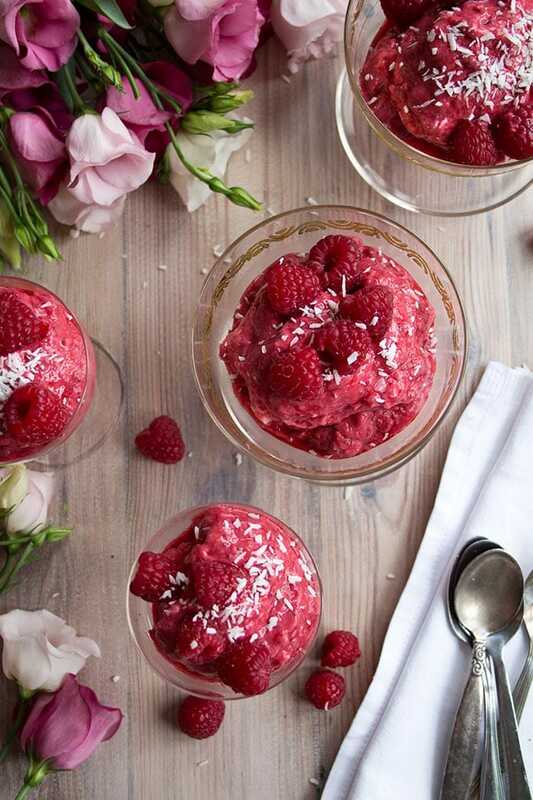 Read my new dessert 101 here in my latest blog post for the Huffington Post. For plenty of healthy puds check out the dessert section of my recipe index! You’ve banished all junk food from the house. The secret milk chocolate stash in your kitchen cupboard is history, the multipacks of fizzy drinks have been replaced with youth-inducing matcha tea and your fridge is stuffed with leafy greens. You have become an expert at healthy eating at home, but what about eating out? Sticking to a sugar free diet when you are out and about can be tricky. But fear not! This guide will help you navigate restaurants, coffee shops and dinner parties so you can enjoy yourself without the sugar rush. We all know that we should eat less sugar. Just like we know we should not smoke, limit alcohol and coffee, get enough sleep, be as forgiving as the Dalai Lama and exercise regularly. But do we do all of these very sensible things? Certainly not. Sometimes it’s just too daunting to commit 100%. If the thought of giving up your love affair with the sweet stuff is making you break out in a cold sweat, there is a beautiful alternative: Start by cutting your sugar intake down and making smart food swaps. Here are 9 simple ways to a healthier you without having to go cold turkey. Ditch the chocolate bars and Doritos: Find inspiration for plenty of healthy and yummy sugar free snacks for kids (and adults) right here! In our current food culture we often equate snacks with “treats” – muffins, biscuits, ice cream, crisps, crackers. Generally speaking, you could call them “tasty sweet and salty things you buy that are wrapped in plastic”. So when you’re cutting down on sugar and are eating more unprocessed, whole foods, it can be difficult to imagine what snacking can look like…. Can I eat dessert when I go sugar free? When you look at old photos of people in the 40s and 50s, you’ll be amazed at how slim everyone looked. Even though they probably did not go to the gym every day and obsessed over their health the way we do today. How could this be possible? Why is it that, only a few decades later, the Western world has a serious obesity problem, with type 2 diabetes being one of the biggest health hazards around? 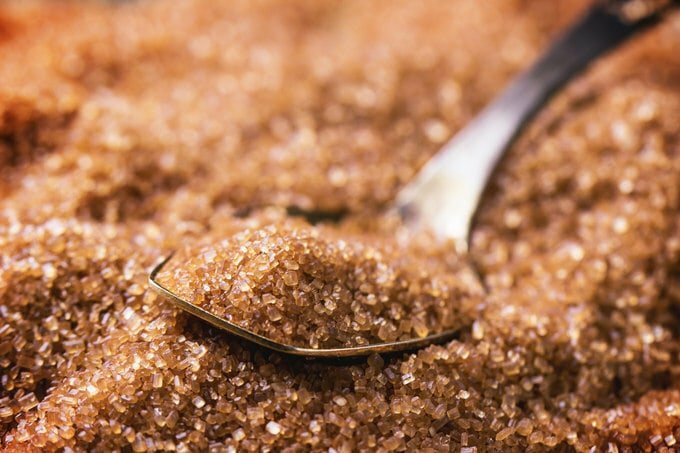 In the UK, we consume over two million tonnes of sugar every year. Yet we often don’t know we’re eating it. Let’s say you buy some chicken in the supermarket. Chicken is protein, right? Therefore good for you? Quite the opposite. Prepared chicken and other meats are often marinated with dextrose, which is one of sugar’s many aliases. Once you start checking the labels, you will be amazed how many hidden sugars prepare foods contain. The problem is this: Sugar is good for business. It helps to extend the shelf life of packaged food and makes it more tasty. 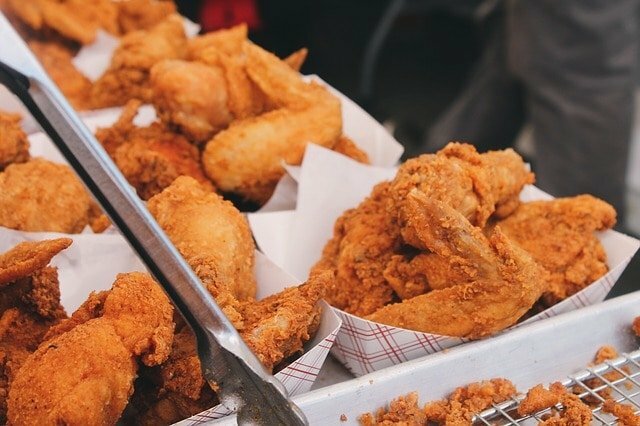 Therefore, food manufacturers add sugar not only to sweet treats and food perceived as healthy such as fruit yogurts or low fat snacks, but to all kinds of savoury products, from meat to bread to crisps to pasta sauces. If you were to take out the salt, sugar and fat out of processed goods, they would probably taste like sawdust. Just saying….